Question: What is JBC’s free freight policy? Orders totaling $3,000+ worth of product are eligible for free shipping * Some exclusions may apply. Question: Does JBC have a minimum order requirement? New orders must be at least $300.00 or more. Question: Do you accept credit card payments? Question: How can I place a new order? Question: What is JBC’s return policy? Items must be returned in NEW (unused, untested, and resalable) condition, in the original manufacturer packaging, with all accessories and/or kit components. Items must be returned to us the same way they were shipped out- in the same condition and with all original contents. Note: no returns or exchanges will be issued on custom orders with the exception of damage and/or production error. All charges related to the return of items to JBC Safety Plastic, Inc. are the responsibility of the customer, unless otherwise authorized by JBC Safety Plastic, Inc. There is no restocking fee for returns of unopened, unused, and untested items returned within 30 days. If you are not fully satisfied with your purchase, JBC Safety Plastic, Inc. will be happy to exchange it for you. Please return the item to us within 30 days and experience no restocking fees, providing the item is in NEW (unopened, unused, untested and resalable) condition. Please follow the simple steps outlined in Return and Exchange Instructions. If an item comes damaged as a result of shipping, we will be happy to exchange/replace/or credit your account. Please contact us within 3 business days of delivery to initiate a claim. See Shipping Damage and Lost Packages for more information. We will be happy to issue a refund/ credit to you providing the Return Conditions are met. In the event of non-compliance with these requirements, a refund will be issued in accordance with the condition of the returned merchandise, restocking fees will be applied based on the condition of the return, and the value of missing items, if any. No refunds will be issued before merchandise is received and evaluated. Shipping charges on returns are not refundable. Please be advised that we are unable to refund any fees imposed by an entity other than JBC Safety Plastic, Inc., such as customs or brokerage fees. Inspect merchandise immediately upon delivery before the carrier leaves • If you detect visible physical damage or missing items, refuse the package and/or notate on the proof of delivery so a claim may be processed. • Contact us immediately if damage has been detected. JBC will work quickly with the carrier to resolve the issue. Customer service will work closely with our customers to make sure they receive replacements or refunds of the damaged or lost product. • If you receive damaged merchandise or do not receive it at all, the carrier will need to conduct an investigation. Please notify us immediately about the problem within 3 business days of receipt. Any claims of shipping damages or lost packages will not be processed after 3 business days of delivery. DO NOT discard the shipping carton and packaging to facilitate the investigation process if necessary. All claims are usually processed within 2 weeks from the time of initiation. If the carrier claims responsibility for the lost or damaged item, insurance reimbursement will be issued to JBC Safety Plastic, Inc., a credit will then be sent to you. 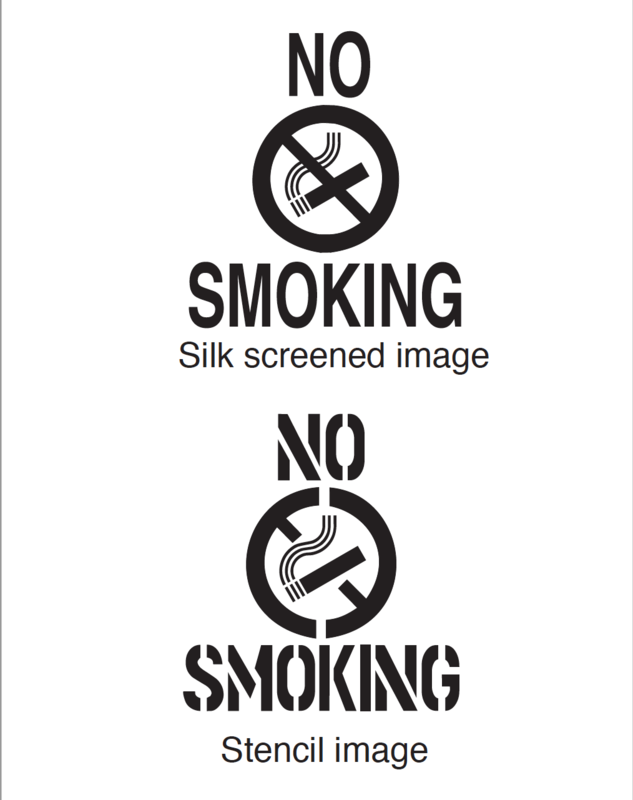 Question: What type file format is required to make a silk screen? 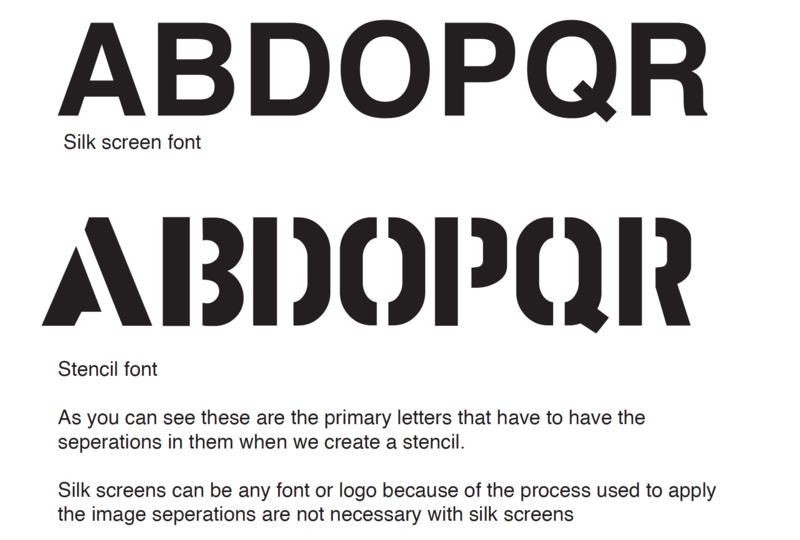 Question: What is JBC's standard maximum size letter for a stencil? For 28” and 36” wide body cones 2.5” - 28” slim line cones 1.5” 18” cones 1” These sizes change with longer words or multiple words done horizontally. Question: What is the difference between Silk screened and Stencil image? Question: What is considered a “CUSTOM ROLL UP SIGN”? Question: When is an HD brace used instead of a standard brace? An HD brace is used when the stand that is being used does not have a vertical tubular upright.